Impress your guests and serve up something a little different with this premium selection of luxurious wines and Booths brand Champagne. Seresin Sauvignon Blanc – Blended from several parcels Sauvignon Blanc from across three separate vineyards across the Seresin estate. Created by the world famous cinematographer Michael Seresin, famous for his collaborations on films such as Bugsy Malone, Angel Heart, Birdy and Midnight Express. This is a finely textured and well-structured wine with notes of ripe yellow stone-fruit, passion fruit and ripe gooseberry, with a chalky-mineral complexity. 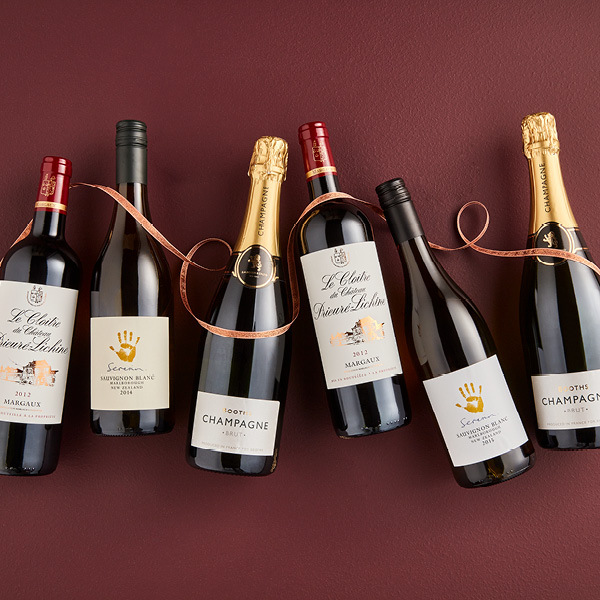 Le Cloître du Château Prieuré-Lichine – Made from the fruit of younger vines to create a beautifully balanced and fruity velvety wine with a warm nose of black fruit, liquorice and chocolate.